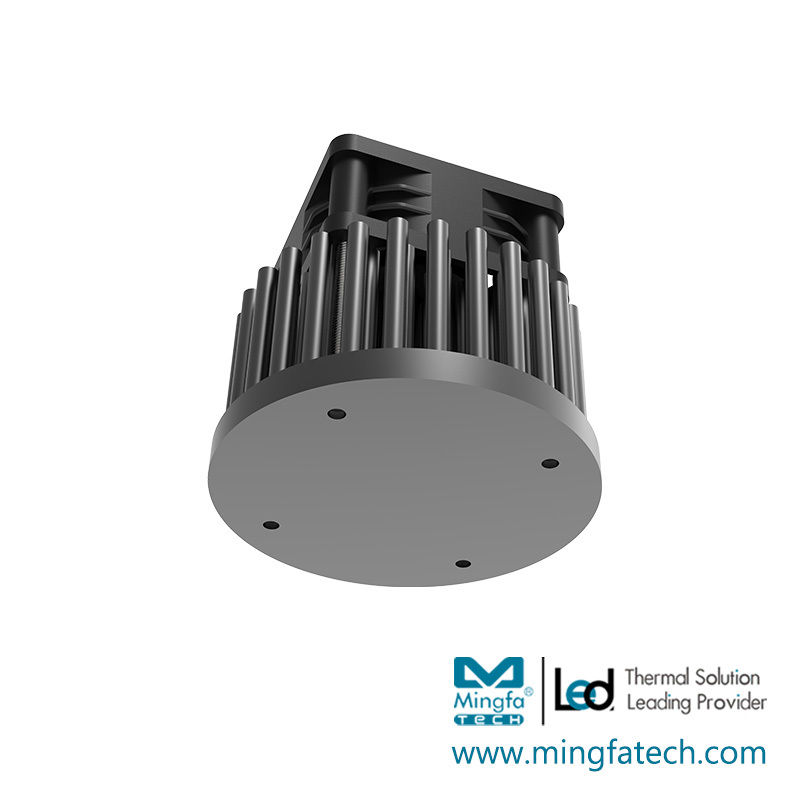 LED Active Heat Sink G5850; Design for Spotlight and Downlight 1000-15000lm; Rth0.45°C/w; Suitable for 50w/55w/60w/65w/70w/75w/80w/85w/90w/95w/100w; Self-taping hole or custom mounting holes for Zhaga book 3 and custom holes LED modules; Standard finish-Black anodized. Good materials, advanced production technology, and fine manufacturing techniques are used in the production of cob led heat sink. 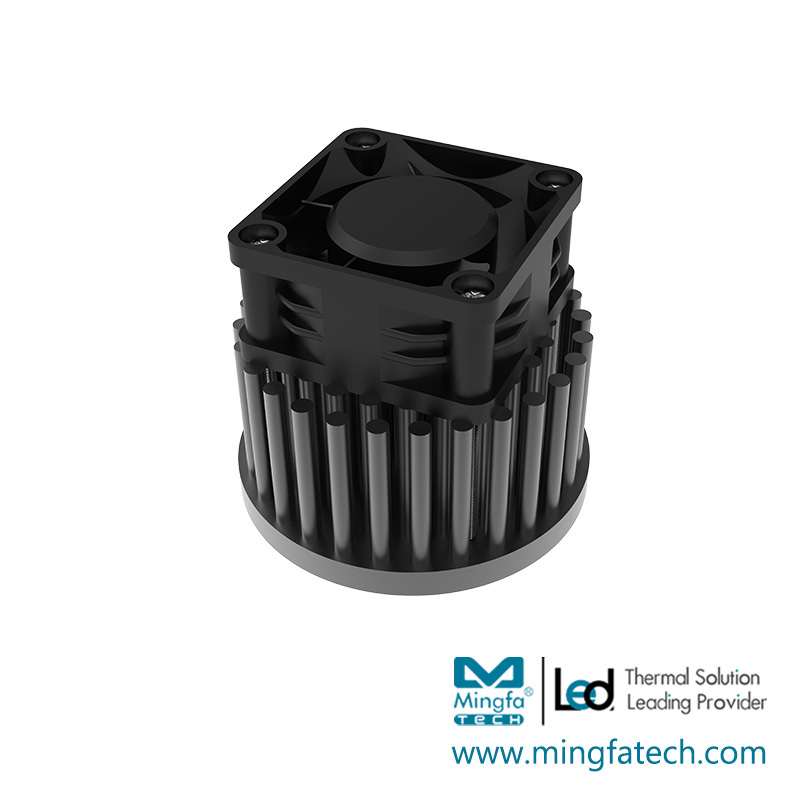 It is of fine workmanship and good quality and is well sold in the domestic market.MINGFA carefully selects safe, eco-friendly and quality raw materials to produce various types and specifications of led heat sink. Besides, we introduce advanced production equipment and adopt fine processing technique in the production. They are quality-reliable and highly-recognized.cob led heat sink has the following differentiated advantages compared with other products in the same category. MINGFA has a professional R&D team and an excellent management team with high overall quality, strong ability, and rich experience. At the same time, we continue to carry out technical exchanges and cooperation with major universities and employ many experts to provide technical guidance. All this provides a strong guarantee for the technology and management of products. With a comprehensive after-sales service system, MINGFA is committed to providing timely, efficient and thoughtful consulting and services for customers. With a focus on integrity and quality, MINGFA strives for excellence in the business operation. We wholeheartedly open up new fields and develop new products. We also strive to provide quality services, so as to promote the industry to develop. In recent years, MINGFA has been carrying out the online sales model. The sales scope has been rapidly expanding, and the annual sales volume has been rising. Suitable for COB modules with luminous surface over 30mm. Suitable for Zhaga Book3 and custom holes. 1. MingfaTech Manufacturing Limited is professional and experienced in mass producing . 2. The professional R&D team has built MingfaTech Manufacturing Limited' solid technical strength and competitiveness. 3. is regarded as MingfaTech Manufacturing Limited's market strategy. Call now!